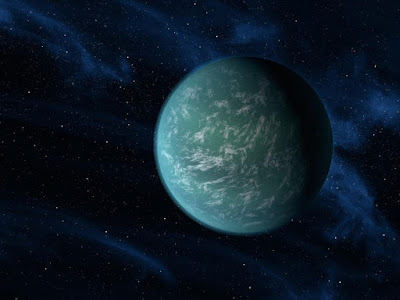 An artist's concept of Kepler-22b Click image for multiple resolutions. This diagram compares our own solar system to Kepler-22. Kepler-22's star is a bit smaller than our sun, so its habitable zone is slightly closer in. The diagram shows an artist's rendering of the planet comfortably orbiting within the habitable zone, similar to where Earth circles the sun Click image for multiple resolutions.